Joe Manchin III, is a Democrat Party Candidate, is the Senior U.S. Senator from West Virginia. First elected in 2010, Senator Manchin has served the state of West Virginia for 6 years. In past, Joe Manchin served as the Governor of West Virginia(2005-2010) & also as the Secretary of state of West Virginia(2001-2005). Senator Manchin holds an estimated net worth of $7.89 Million dollar's as of 2014, making him significantly wealthier than the average member of Congress and second among all members from West Virginia. Manchin's net worth was 7.4 times higher than the average member of Congress and 2.9 times higher than the average senator. Net worth figures are calculated by the Centre for Responsive Politics and are based on Financial Disclosures form filed in 2014 by members of Congress. They are calculated by adding a member's full range of reported assets and then subtracting their debts, with estimated net worth being the resulting midpoint. "Manchin for West Virginia" was the Campaign Committee of Senator Joe Manchin as the Democratic Party Incumbent & raised a total of $5.07 Million dollars and went on to spend over $3.66 Million dollars as of 2012 Senatorial Campaign for West Virginia. While his rival Campaign Committee of Republican Party Candidate "Raese for Senate Committee" collected over $1.61 Million dollars & spends over $1.61 Million dollars for 2012 Senatorial Campaign for West Virginia. In 1982, Manchin was first elected to Western Virginia House Of Delegations and got elected to Western Virginia Senate in 1986 and served till 1996. Later he went on to run for Governor & ended in 2nd position (comparing by votes) in the election. It was in 2000, he ran & got elected as the Secretary Of Western Virginia. Joe Manchin got first elected in the Special Senatorial Election to replace the longest-serving candidate in history Robert Byrd who died in his office while been actively involved. In November 2012, Joe Manchin won full-time Senatorial Election by acquiring 60% of votes. In 2015 when Jay Rockefeller retired, Joe Manchin became the Senior Senator from West Virginia. Though being a Democrat, he has been involved & worked on with Republicans in the issues including Gun Ownership & Abortion. He opposed the energy policies of President Barack Obama & has been supportive towards President Donald Trump decision of withdrawing US agreement from 2015 Paris Climate Agreement. Senator Joe Manchin has served in several committee & Subcommittee including Senate Committee on Intelligence, Senate Committee on Energy & Natural Resources, serves as the member on Senate Committee on Veteran's Affairs & Senate Committee on Appropriations. Senator Joe Manchin was born in Farmington, Western Virginia, the United States. He was the second child, among five children’s of Mary O. (nee Gouzd) & John Manchin. 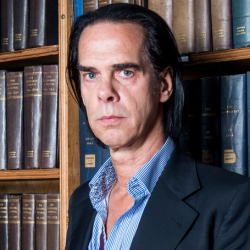 His father was of Italian descent and his mother was Czechoslovakian Immigrants. Joe Machin's father & grandfather both served as the Governor of West Virginia. 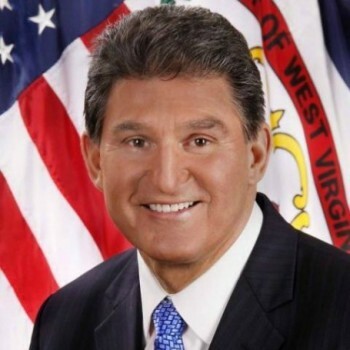 Joe Manchin completed his high school education from Farmington High School. He was intereted in football and got scholarship in football in 1965, but his football career was soon ended after he faced an injury. Manchin Graduated with Bachelors of Business Administration degree in 1970.